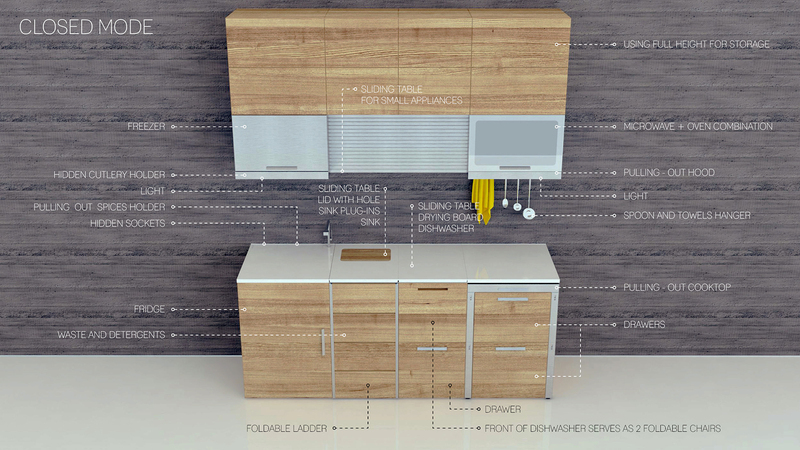 Requirements on a kitchen are changing all over the day. 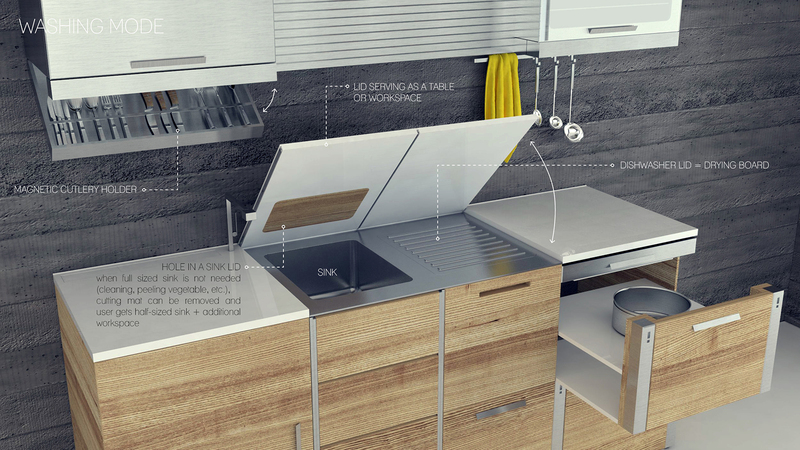 There are different space needs during the breakfast or lunch, cooking or doing dishes, preparing salad or coffee, cooking for one person or preparing big family dinner or a party. 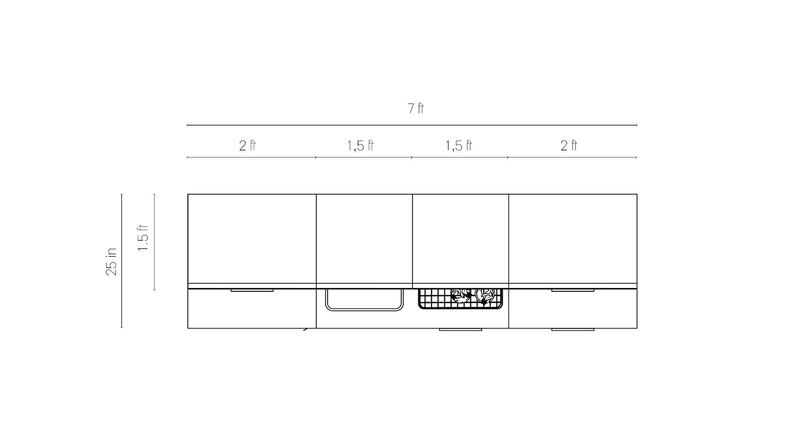 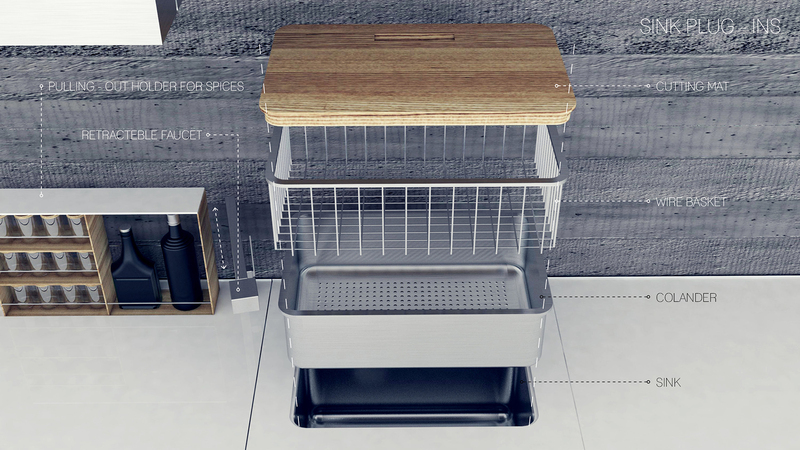 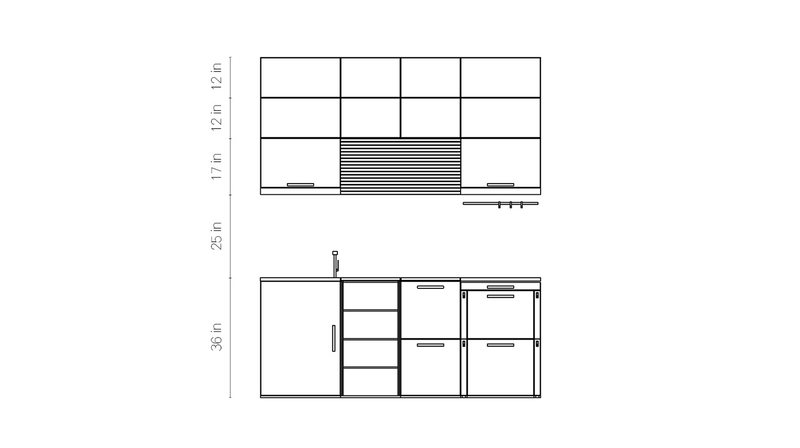 Proposed microkitchen reacts and adapts to all this different occasions through variability, layering and possibility of various combinations. 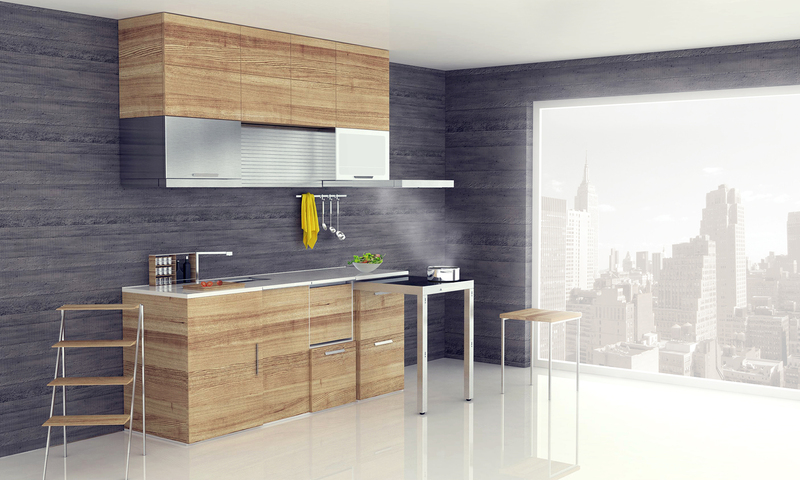 Emphasis is also on storing stuff as storage space is usually lacking in small apartments. 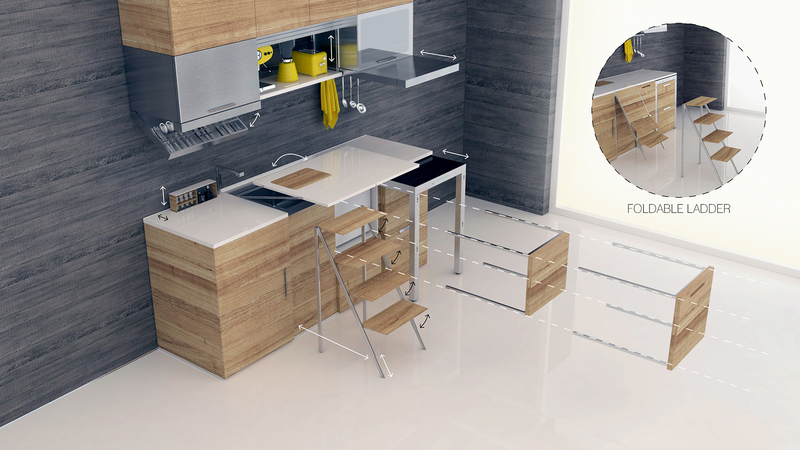 The folding ladder that is built in one of drawer doors allows to reach the highest shelves, so the full height of room can be used. 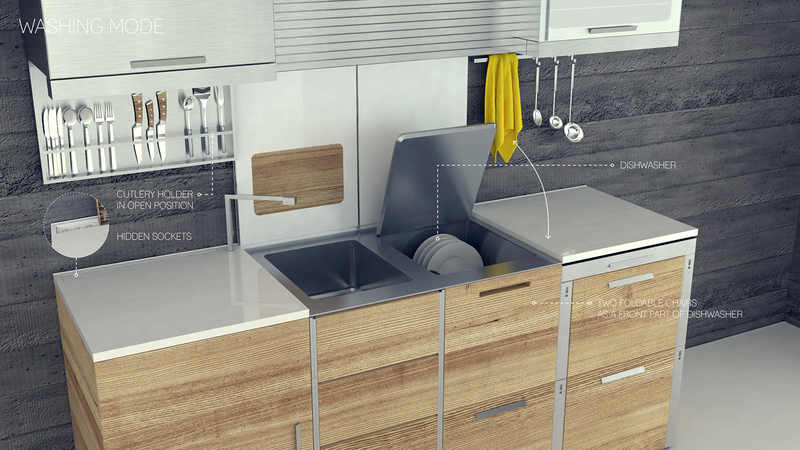 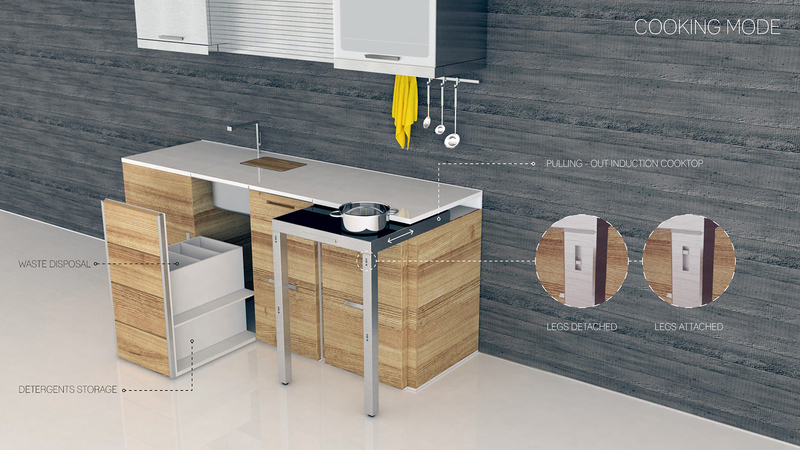 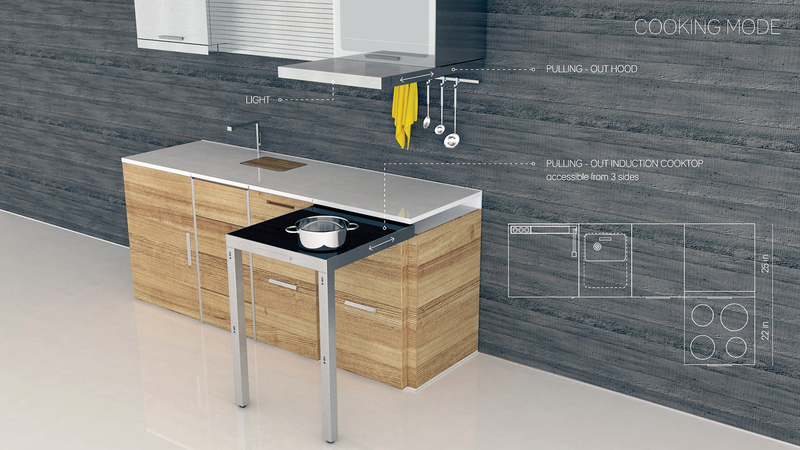 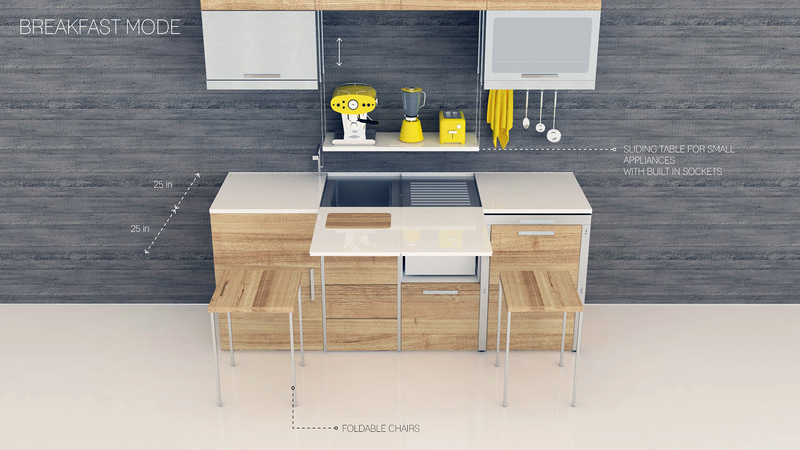 Also the waste space around the dishwasher is used for storing foldable chairs, which in combination with sliding table, allow users to have a meal right in the kitchen.